I have a bachelor's degree in Information Technology with a focus on multimedia and visual communications. I originally started Scrap-e-Blog in September of 2007 to share my Blogger designs for FREE! 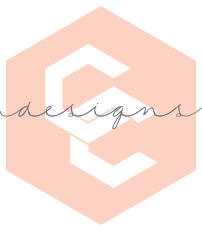 Since then I've expanded my graphic design skills and visual creativity renaming my business to CC Designs. As I continue to offer free and custom designs for Blogger, I also offer many other graphic design services. I design for businesses such as logo designs, business cards designs etc. I also design personal graphics such as invitations, greeting cards etc! You can click HERE to see all the graphic design services I offer. It is my passion to help others create a product that illuminates who they are and exceed their expectations. If you ever have any questions, comments, or concerns please contact me by e-mail at scrap.e.blog@gmail.com.